Batteries may seem to have very little differences when you first look at them, especially if the technical specifications seem to be a bit confusing. But do you know that these batteries don’t have equal performance and longevity? Yes. That’s why it’s important that you choose the best solar battery for your solar power system. If you choose correctly, you will surely have an effective and high performing system. 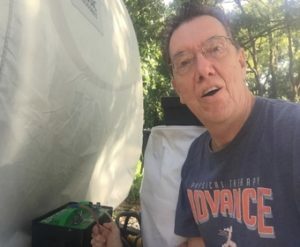 If not, then you might be frustrated with the battery’s early failure and your solar off grid system might have a lot of downtimes. All the batteries we see in the stores are not made the same. There are makers who use more lead or heavier grids. Some may assemble them through an automated system while others assemble the batteries manually. It is important that for you to know everything about the battery that you intend to buy as much as you can. Remember that outdated materials that are used in the battery can compromise its quality and overall performance. You may also be tempted to get batteries that have lower prices, but there might be a catch. It may be an old battery already. Yes, it may be unused but batteries older than six months are no good anymore. You may get a battery at a bargain price, but you might find out later that it needs more maintenance and will actually cost you more money in the long run. So be careful when checking the solar batteries price. So to get the best battery for your solar power system for home, you have to know what questions to ask. Know about the batteries’ manufacturing, quality control, materials, and design. This way, you will know which one can best provide for your power needs. The first thing you want to know would be which battery type should you get. For example, with lead-acid batteries, they are intended for a particular purpose. They may not serve you well for renewable energy systems such as solar powered ones. There are also commercial and automotive batteries that can provide bursts of energy, but they may not also fit well into your system. You can check UPS batteries or uninterruptible power supply batteries. They are fit to give you backup electricity when there are power outages. However, here’s the catch, they are not great at tolerating numerous discharge and recharge cycles. The best type of battery for your solar power system would be deep cycle solar batteries. These batteries are able to provide power for a long period, even days. They are designed to tolerate multiple and regular discharge and recharge cycles. But deep cycle batteries are still different from the renewable energy-specific batteries. The design of RE batteries take into account the specific needs of the applications of your solar power system. Often, RE batteries are flooded batteries. They are more affordable, they can be maintained easily, they last longer, and they are very reliable. You can get AGM batteries or Gel cell batteries. They are more convenient to use because they are maintenance-free, but they are also more expensive compared to flooded lead-acid batteries. You may also opt for other types of battery like lithium ion solar battery. Again, check the lithium batteries prices so you know if it’s something within your budget. Whichever type you choose, it is important that you know the materials and the methods of its construction, as well as the quality control system of the battery. Doing so, you will find a battery that is not only affordable but reliable as well. It’s also vital that you know how a battery works. Basically, it is able to produce electrical current when there is a reaction that kick starts a conversion process where the chemical energy stored in the battery is transformed into electrical energy. The process of this conversion begins with the lead. Many makers of batteries utilize recycled lead. The lifespan and performance of the batteries’ lead roots from the additive formulation, amount of lead, the methods of lead-oxide production, as well as the quality controls used by the manufacturer. The metal grids holding the lead paste allow the storage of energy to be possible. With heavier and thicker plates, there is a lesser chance of corrosion. There will also be more lead for the chemical reactions. This increases the solar batteries lifespan. However, since about a decade ago, the prices of lead have increased. Since lead creates a big fraction of the battery’s cost which is about 60% to 80%, manufacturers are under pressure to skimp to offset the price hikes of the raw materials. Makers of batteries who understand that it is important to produce not only an affordable but a high-quality product try not to cut corners. Instead, they try their best to improve the efficiency of manufacturing and utilizing active lead materials. In the end, the more advanced method of manufacturing will save the customers more money in the long run because then, they won’t need to replace the batteries every few years. Also, the methods for grid production also affect the life of the battery. Many makers of batteries utilize expanded metal as well as stamped grid production since it is much faster. However, these methods allow impurities to get into the grid wires. Unlike the grids made by gravity casting, there are no impurities, and it has no porosity. If the battery has gravity-cast plates, you can be sure that it is reliable and it will last longer. In the process called pasting, there is an active lead material that is placed on the plates.  Many variables in the paste mixing process also affect the performance of the battery significantly. In more conventional systems, such variables are being adjusted manually, and the paste depends on the person operating the process. With computerized and automated paste mixing, inconsistencies are lessened because the variable can be adjusted instantly. When the grids are applied with paste, they are then cured and dried in special ovens and set on a specific humidity and temperature. This is to bond the active lead materials onto the grid to give you longer life and better performance. When looking for a battery, select one with plates that have been prepared this way so that you can be sure that the battery will be able to provide optimal performance as well as service life. When the curing is done, the plates of the batteries are then stacked in clusters, and then they are connected by fusing them together with a strap made of lead. This makes a parallel circuit between these plates. There are still many manufacturers that use strap-assembly processes that began during the early 20th Century. This is because it’s more economical this way. What happens is that the lead lugs are manually attached to the strap by workers. They are then burned together one at a time with the use of a torch as well as a lead stick. Straps welded manually usually have connection points that are weaker. There are also manufacturers who utilize cast-on-strap or COS assembly. With this system, the battery plates are fused together at the same time at a precise temperature. This COS system can make 4,000 adjustments in comparison to 40 that can be done when hand welding. This ensures you a more consistent and low electrical-resistance welds. These make the connections stronger. 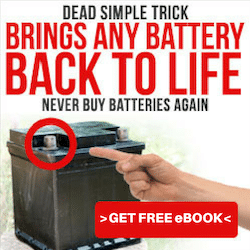 They improve the life of the battery. With an automated assembly, there is less failure as compared to batteries that are manually-assembled. You won’t have to worry about the lead running down between the plates. The batteries also have features that reduce the chances of corrosion, increase the produced current, and lesses the costs for maintenance. The COS process integration may be costly as well as time-consuming. Try to learn about the manufacturer of the battery you intend to buy and see if about their COS system. If they are advertising that they are using COS, don’t hesitate to ask their sales representatives if they produce 100% of their products with the use of COS manufacturing. After the assembly is completed, the batteries are then charged. This is the first time they will be charged, and this process is called formation. With formation, the lead sulfate is converted. This ensures that the battery reaches its maximum capacity. There may be some manufacturers that speed up this process by utilizing higher currents. It does cut the time for production. However, it also affects the lifespan and material of the battery. It is always more preferable to go for a low current at a longer period because it allows the battery to sustain a longer life. We have shared with you all these processes so that you know what questions to ask when you are out shopping for a battery for your solar power system. It is important that you know what you are looking for in a battery. By comparing the manufacturing processes and the materials used, you will get a better sense of which among the many batteries on the market will be able to give the best performance and have the longest life. Now that we know about the importance of the materials and manufacturing processes, let us share with you some of the best solar batteries from amazon that you can choose from for your solar power system. This battery is an AGM battery with 12v and regulated valves. Being an AGM battery, it is more convenient to use compared to flooded lead-acid batteries because it is spill-proof so you can use it in any position and you can be sure that it will work excellently. It has great performance when it comes to applications that require high power. It also does well in applications for backup power. Having 250 amp hours, the UPG Model 45964 UB-8D is an excellent choice for your solar power system. This model from Fullriver is an AGM battery that can match the best batteries for solar power systems on the market. Its craftsmanship, plate chemistry, and construction have been optimized, so you know you are getting the most out of the battery. It is also built to last long even the applications you use it for are demanding. These batteries have more lead so you can be sure that the connections between the cells are stronger. The plates are heavier as well so you can have a greater reserve capacity. This battery is a sealed lead acid battery that is rechargeable and maintenance-free. You don’t need to add water to it. It has an advanced design, and you can use it immediately. This unit can deliver power whenever you need it. The Mighty Max Model ML100-12 SLA has a state of the art and heavy-duty grid of calcium-alloy. This allows the battery to give you the best performance as well as a long service life for both cyclic and float applications. With this battery, you get a high-performance unit with AGM technology, making it very reliable. Its design allows it to deliver great performance as a deep cycle battery. It is also spill-proof so you can use it in any position and you don’t have to worry that it will spill. The battery is maintenance-free and is designed to be vibration and shock resistant. This model is a pure GEL battery. It is patent-designed to have a construction that has PE compound separators, ensuring that the gel electrolyte is distributed equally and evenly in the battery. It also has a construction which is triple sealed so there won’t be any electrolyte leakage. With its lead-calcium grids that are heavy-duty, this unit will surely serve you for a long time. With this brand, you can expect that they specialize in producing AGM deep cycle batteries of the highest quality. They can last for a good decade if you take proper care of them. It has custom made plates that are of military grade. It is designed to be capable of recombination. You don’t have to worry about dangerous gases or fumes coming from this battery. It is safe to be used indoors and is maintenance-free. You can expect this model to give you superior performance. It has a long lifespan and excellent performance. It is guaranteed to last for eight to ten years. Remember to properly care for the batteries so that they will last a long time. It is maintenance-free. You don’t need to add water. A regular checkup every year after the first two years will be sufficient. It is also convenient to buy since it is widely available for sale in most stores. What do you think about this list of products we have shared with you? Do you feel more confident to choose the best solar battery? If you have any questions about batteries for your solar power system, solar panel price, or about other brands that we have not listed here, feel free to email us, and we’d be happy to share more information with you.